Buy a Paris Passlib’ and gain admission to the prestigious Eiffel Tower monument! This fast-track ticket gives you free access to the second floor of the Eiffel Tower. Coming to Paris for a weekend or several days? The Paris Convention and Visitors Bureau can provide you with the ‘Paris Passlib’, a ready-to-go sightseeing package that enables you to discover the French capital’s top sights and benefit from numerous practical advantages that will make your trip to Paris even more enjoyable! The Paris Passlib’ is available for adults, young people and children, in a Mini, 2, 3, or 5 day version to adapt to the length of your stay and what you would like to see and do. It gives you priority access to the sites listed and unlimited travel on Paris’s public transport. It gives you unlimited access to transport : bus, metro, tram and RER, so that you can travel around as you wish during your stay from zone 1 to 3. It is valid from the first day it is used to the end of the last day of the pass chosen (2, 3 or 5 consecutive days). The validity period starts at midnight on the first day and ends at midnight on the last day (map of transport zones here). This pass gives you to the permanent collections and some temporary exhibitions of more than 50 museums in Paris and the Paris region including: the Louvre Museum, the Versailles Estate, the Panthéon, the Towers of Notre-Dame, the Arc de Triomphe, the Tomb of Napoléon I. Children under 18 years, regardless of their nationality, and residents of the EU under 26 years old are entitled to free access to museums and national monuments, the Paris Museum Pass is not included in Youth and Child package. For further information, here is the list of free admissions and the list of exceptions for youths. A Paris map-guide and a Guide to using the Paris Passlib’ offered free of charge with every order. Priority access to the 2nd floor by lift. To get this option, you have to add the Paris Passlib’ to your basket and select the day and time of your visit (according availabilities, management fees included). For more information concerning the use, validity, and function of the Paris Passlib’, please see our FAQs. Some museums and monuments are closed on Monday or Tuesday, January 1st, May 1st and December 25th. We invite you to check the schedules of each establishment before your visit, for further information, click here. The access to the Notre-Dame Towers is exclusively made on reservation of a time slot to be booked directly on the tours at the terminals provided for this purpose or on the mobile application "Jefile" (available free on Google Play or App Store). During the Musical Fountains Shows, the Musical Gardens, shows, and wooded areas of the Château of Versailles are not accessible to Paris Museum Pass holders. 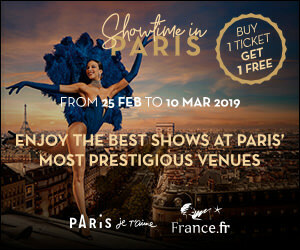 To visit the gardens during this period, it is necessary to buy a supplement on the website of the Palace of Versailles or on-site at the ticket office. During the Musical Fountains Shows, the Musical Gardens, shows, and wooded areas of the Château of Versailles are not accessible to Paris Museum Pass holders. Price details here. For more information about Paris Passlib' please check our Frequently asked questions.